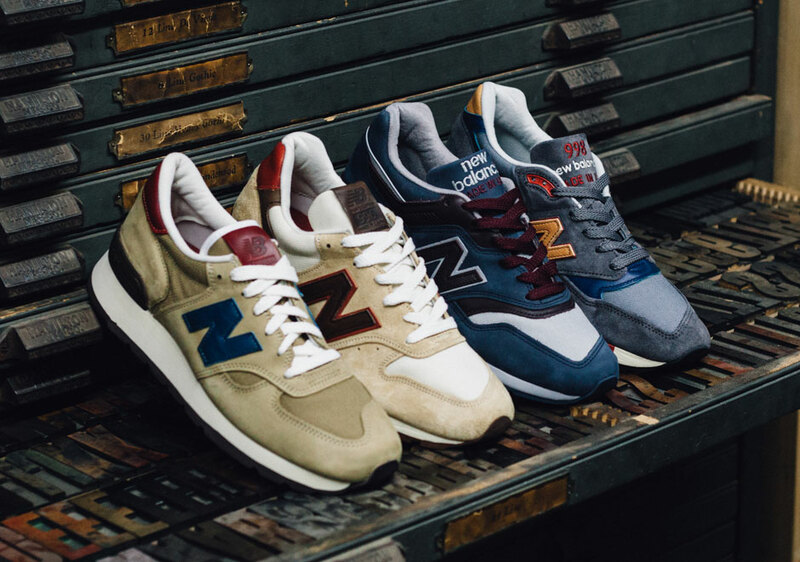 You’ll have probably stumbled across it at some point, the pack name is a bit of a mouthful, but New Balance are continuing their Made in USA ‘Distinct Collection’ and they have created the ‘Mid-Century Modern Pack’ for autumn. You’re wondering what they mean by ‘Mid-Century Modern’, right? I know I was. 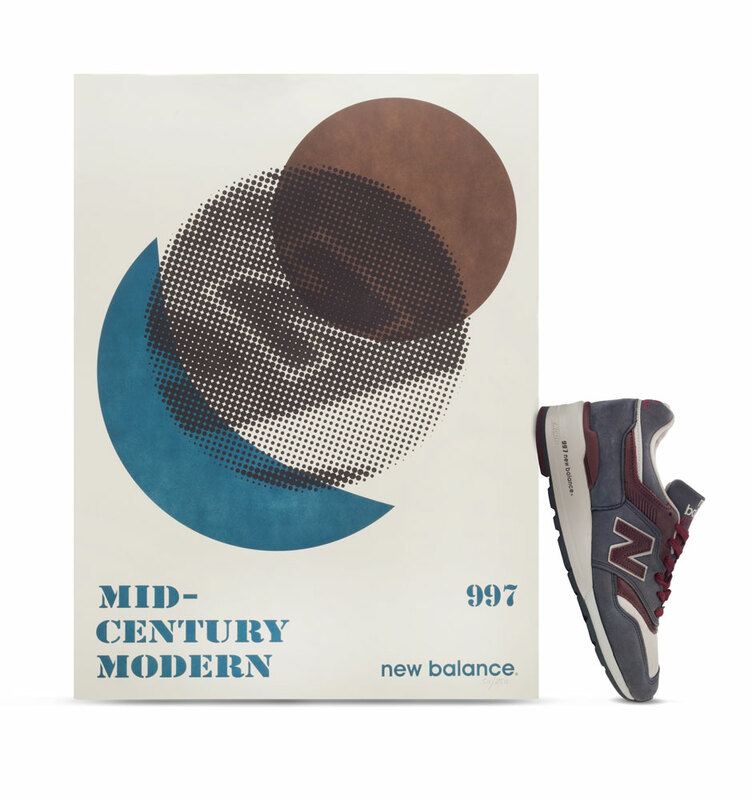 This pack basically focusses on the modern architecture and interior design movement of the 1950’s and 1960’s, hence the ‘mid-century’ part. 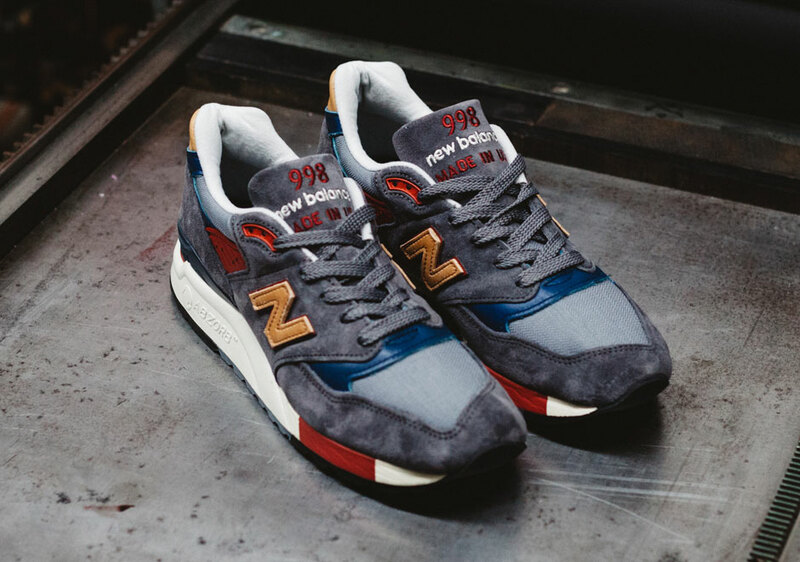 The pack consists of everyone’s favourite Made in USA models – 998, 997, 996, and 990. 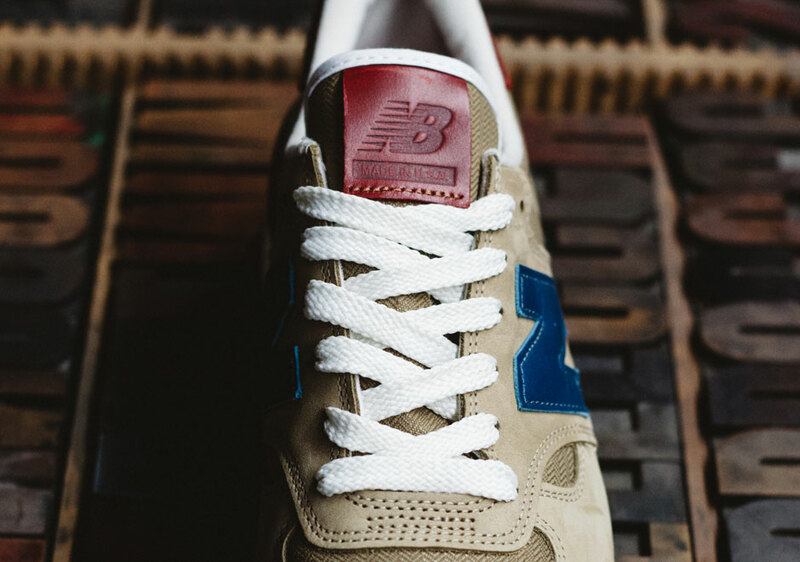 Of course, when we talk about New Balance, particularly when it’s a pack, they really up the levels of the materials used, so we see these pairs being constructed with woven textile, and Horween Leather. Yup, it doesn’t get much better than that. Of course, it doesn’t stop there, because to celebrate the release of this pack, four limited edition posters (one for each shoe) were created by hand at Repeat Press in Somerville, Massachusetts on a vintage 1960’s Vandercook SP-20 letterpress. 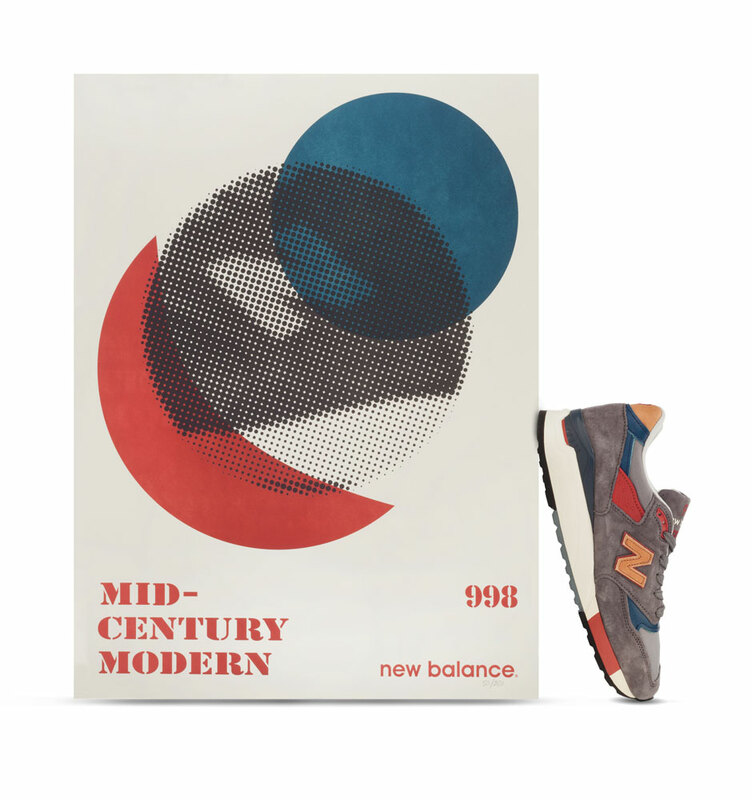 Each poster is individually numbered and limited to 1000 prints, and we were lucky enough to get our hands on a set each thanks to the good people at New Balance. The pack has already dropped at retailers such as End Clothing, and you can check them out by clicking the link here. 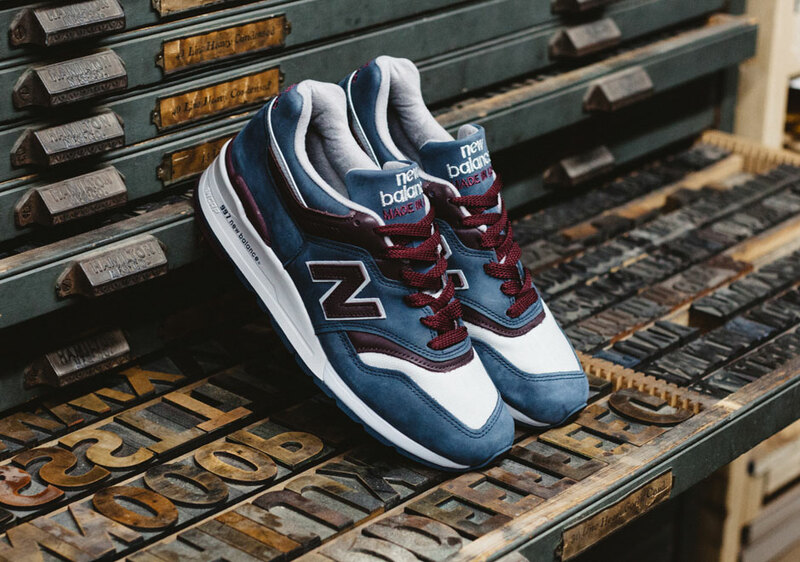 Our favourite from the pack is definitely the 997DGM, which is grey/blue coloured nubuck, with maroon Horween leather, and a white twill textile underlay. 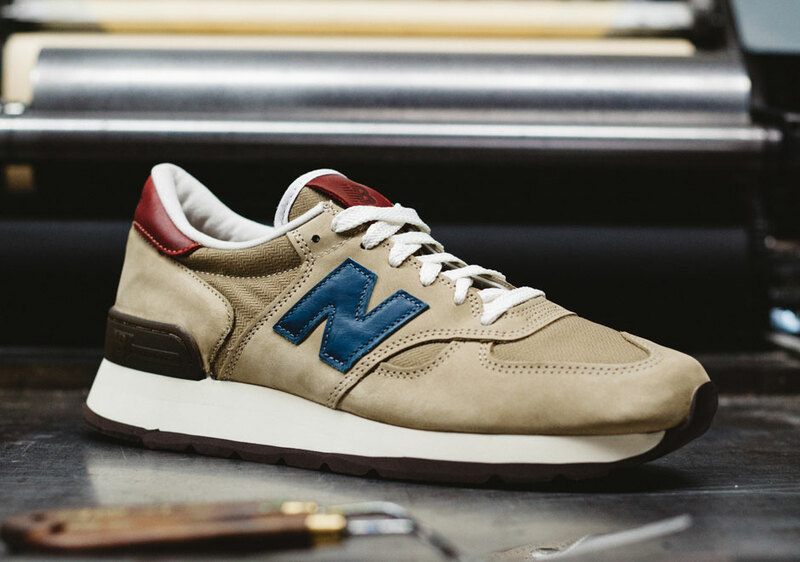 The 997 is guaranteed to be the star of the show, but let’s not forget about the other models in this pack, because they hold their own too. 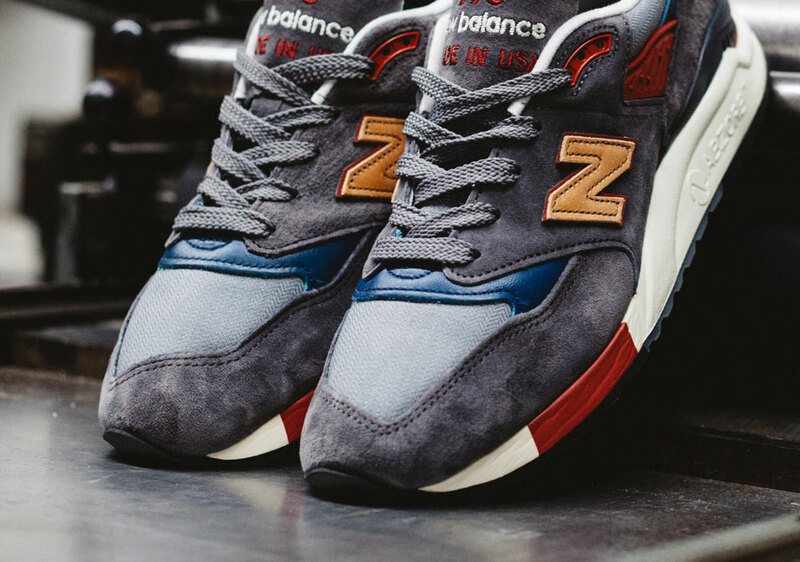 Since the New Balance 990 got reintroduced, we’ve made sure to pick up a few pairs, and there have been some excellent colourways over the last little while. 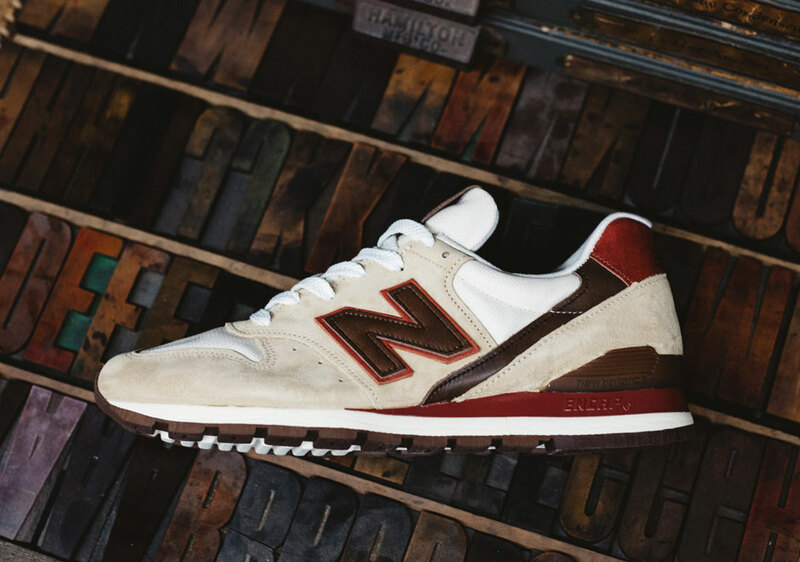 These 990DAN feature a tan nubuck upper, with tan twill textile underlay, as well as navy and burgundy Horween leather, and of course, the Vibram outsole which features on the 990. The 998 has been the talk of the town for the last couple of weeks, due to it’s involvement in a collaboration with Premier Skate, and here we see the 998DBR from the ‘Mid-Century Modern Pack’ dressed in dark grey nubuck upper with twill textile underlay, as well as tan and navy Horween leather, all sat on top of the Abzorb midsole. 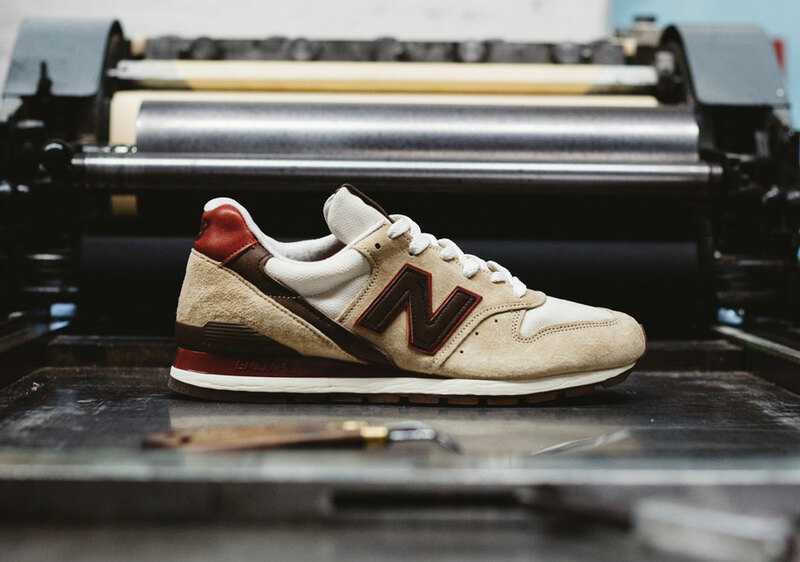 Last but certainly not least, the 996DCB features a cream nubuck upper, a lighter, almost white coloured underlay, finished off with a mix of brown and burgundy Horween leather. 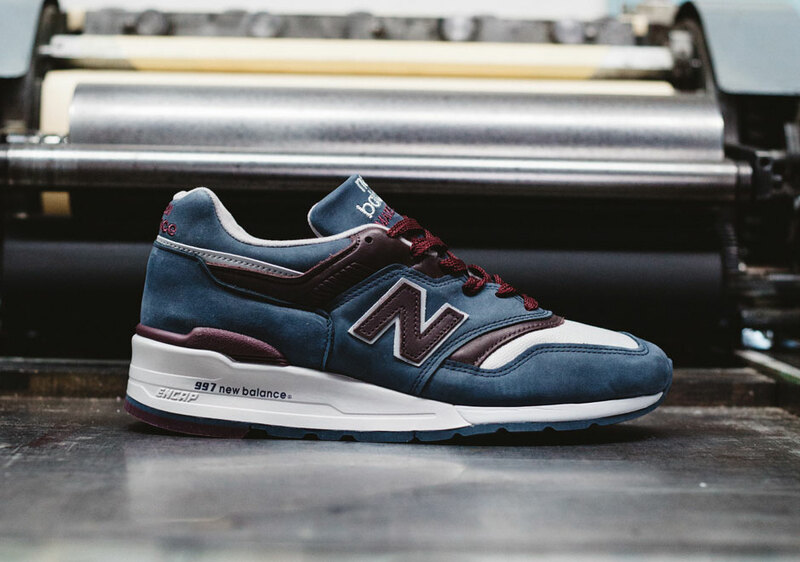 This is definitely going to be the most underrated of the pack, but that sharp shape of the 996 combined with this colourway and materials is particularly great. 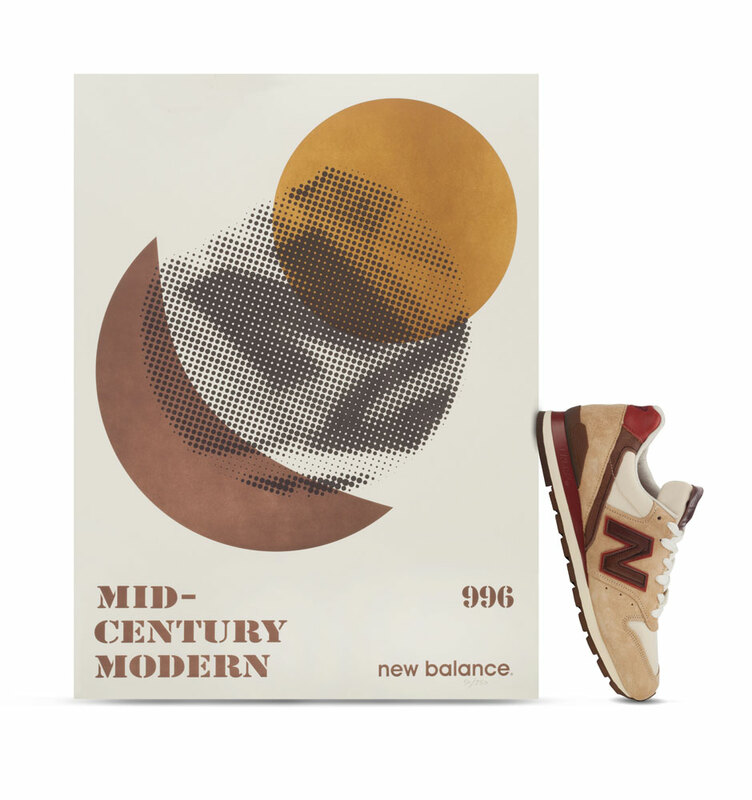 You can grab the New Balance ‘Mid-Century Modern’ Pack at select retailers such as End Clothing.